In a desperate bid to eliminate debt, an Irvine, California real estate partnership will acquire the land and buildings and then grant the church the option to lease back the facility for 15 years. The church has been cutting back expenses, but membership, weekly attendance and revenue have kept falling faster than the cutbacks. Greenlaw Partners would pay $46 million for the cathedral and surrounding buildings, leasing back the cathedral to the ministry. Most of the cash would go to creditors. …The family of founding Rev. Robert H. Schuller would give up some of its financial power over the cathedral to an independent board. Although the elder Schuller and his wife, Arvella, would sit on that board, an executive board controlled by outsiders would set the ministry’s budget and would also appoint the chief financial officer. In addition, the bankruptcy plan limits the salary of the ministry’s chief executive officer, Schuller’s daughter, Sheila Schuller Coleman, to $69,525 a year. The church owes about $7.5 million to unsecured creditors including many longtime vendors who provided services for its annual Christmas and Easter pageants. Church administrators say the cathedral will continue its local worship services, community outreach programs and its weekly “Hour of Power” broadcasts. Also, the plan will immediately eliminate both the church’s mortgage and the majority of its vendor debt, they say. Any remaining vendor debt will be repaid over the next 42 months, officials say…. Continue reading the story at OC Register. Crystal Cathedral staff are quick to lay the blame on economic factors, but readers of this blog know otherwise. While megachurches elsewhere are booming, the difference lies clearly in the message preached. Even though some identify the big glass church as within the parameters of Evangelicalism, the church’s “positive thinking” teaching more resembles that of mainline Protestant churches — most of which are also seeing rapidly declining numbers — if not, on some Sundays, coming across with a message that would be fully acceptable to most Unitarians. The cathedral’s court filings’ blame its financial troubles partly on “unsettled leadership” but mostly on the recession. 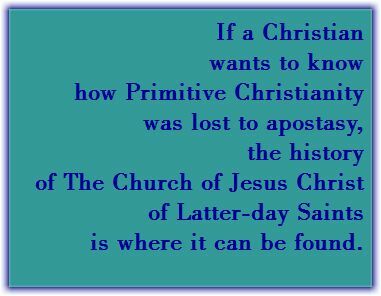 Perhaps they predate even the founding of the church. Let me explain. Like Chicago’s Willow Creek, the Crystal Cathedral was founded on the basis of a door-to-door survey. But while Bill Hybels’ neighbors (a) didn’t want to be asked for money and (b) wanted to be anonymous or not singled out; those in Schuller’s survey made it clear they didn’t want to be judged, or preached condemnation. On that premise, and under the influence of Norman Vincent Peale, Robert H. Schuller embarked on a message of self-improvement that at times is indistinguishable from that of Oprah Winfrey. In a church-saturated country, it wasn’t the message that either those within the fold, or those outside it craved. Evangelicals have always admired the quality of the Hour of Power’s television productions, the choir and orchestra, and the colorful list of weekly guests. But the message was always watered down, light years away from the “full gospel” of Pentecostals, and often not even a “half gospel” that more conservative Christians could endorse. In the end, Schuller’s own son, Robert A. Schuller couldn’t endorse it either; and the pastor, who credits a Billy Graham crusade with his own personal conversion, began a more aggressive exposition of Biblical texts, much to the dislike of some in the church’s executive branch. The younger Schuller’s dismissal and absence from the weekly telecast was the wake up call that many faithful viewers needed to realize that there was indeed trouble in the camp. And so, the once mighty Crystal Cathedral limps onward, but a shadow of its former self.